No long introduction here, the picture speaks for itself. Several weeks ago, my daughter asked me what I wanted for my birthday. I told her I wanted a Vegan Pumpkin Tres Leches Cake. (I felt sorta bad, knowing no vegan versions existed on the Internet - at least none that I had found). A few days later, she disappeared into the kitchen, threw flour and sugar around and created THIS! And was the best birthday ever. Line a 9-by-9-inch pan with parchment, spray with cooking spray, or grease and flour the pan; set aside. In a large mixing bowl, combine all dry ingredients and whisk to combine. Curdle the non-dairy milk by whisking together the plant milk and apple cider vinegar. Mix egg-replacer with water in separate bowl. Set both aside for 10 minutes. After 10 minutes, stir together all "wet" ingredients and then stir in to dry ingredients until just combined, don't overmix. Batter is thick. Bake for 25 - 30 minutes, or until center is set and a toothpick inserted in the center comes out clean, or with a few moist crumbs, but no batter. Allow cake to cool in pan, on top of a wire rack, for at least 30 minutes before turning out onto the rack to finish cooling completely. While cake cools, make the tres leches topping. Shake can of coconut milk well, measure out 1 cup and whisk together with creamer. Place cake a rimmed serving platter. Poke holes on the top of the cake using a chopstick or spoon handle. Pour the creamer mixture all over the cake, using a spoon to evenly distribute the liquid and fill the holes in the cake. Set aside in refrigerator for 2 or more hours, for cake to chill and the liquid to soak in. 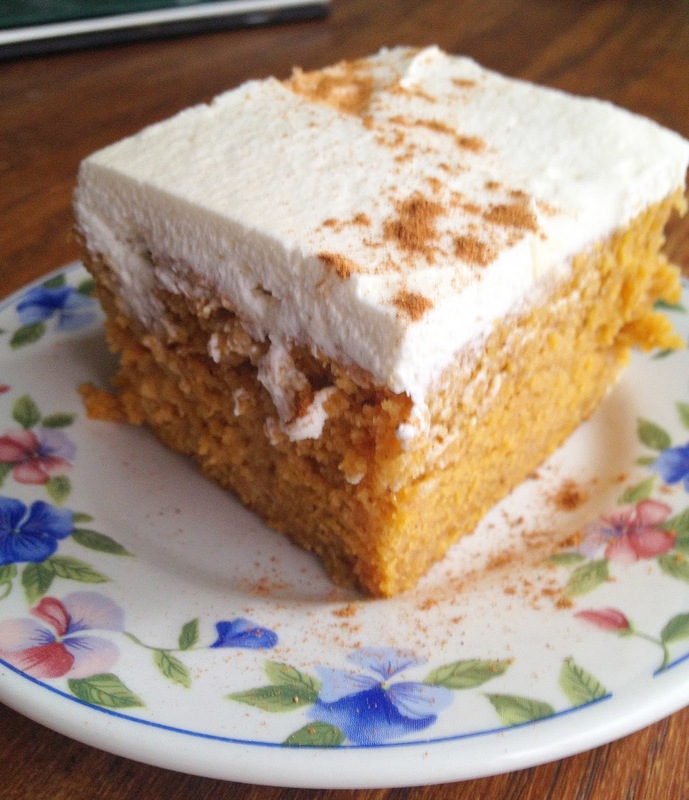 When ready to serve, spread vegan whipped cream over the cake and dust with cinnamon. 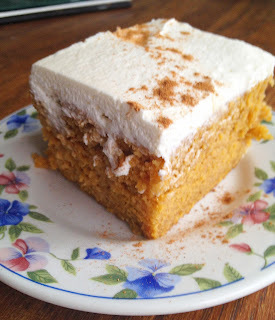 I really wanted to make a pumpkin tres leches around the holidays, but I was not brave enough to try. Pinning your recipe for next fall...or probably sooner to be honest. Looks amazing!